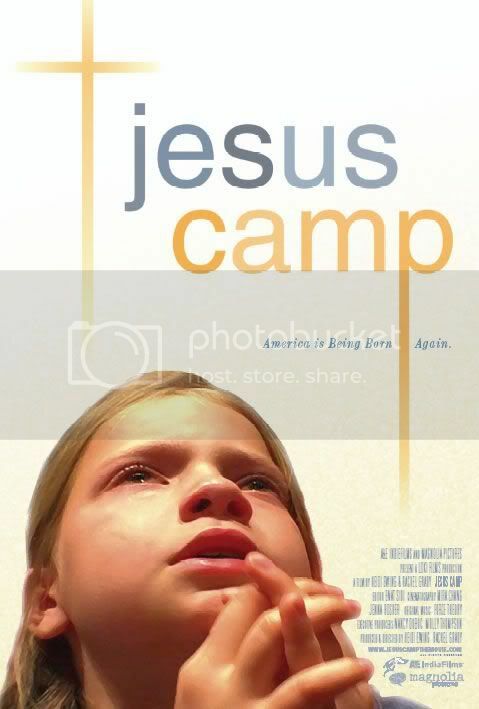 Not many films, especially documentaries, have provoked as strong a reaction as Jesus Camp. The film is rather controversial, as it practically shows a group of young Christian Jihadists. It concerns a right wing group of fundamentalist Evangelical Christians who are raising their children to fight a war against the devil and culture. This is where the reviewing gets tricky. Do I talk about the film and the people it presents, or do I look at the theology and ideas presented by the folks in the movie? First, a brief snapshot of the film. 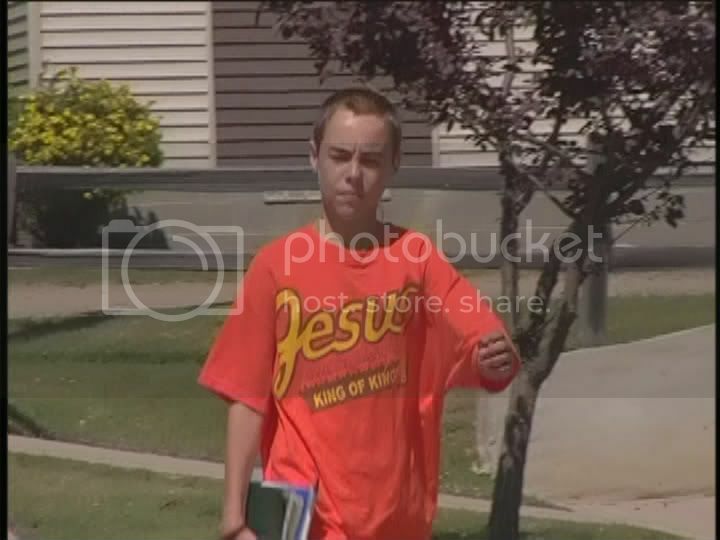 It follows Becky Fischer as she leads a group of kids through a Jesus Camp that she holds in North Dakota every year. She explains some of her reasoning for why she teaches them what she does and why it’s so essential. She explains how she uses the kids to put beliefs in them so they can be an army ready to combat the evils in modern America. Balancing this rather extreme view is a moderate talk show host (Mike Papantonio). He’s a Christian born and raised, but holds much more reasonable views on just about everything. He can’t understand how these fundamentals hold true to what they profess and how they can organize an army to mold the nation into what they want it to be. His brief clips are a welcome relief from the fire-breathing rhetoric of Becky. And that’s really what it is: rhetoric. These kids hear words and phrases and are told they’re supposed to repeat them, and then inject them into conversation as if they know what they’re talking about. Much of the time I suspect they have no clue what’s happening. The kids are the most frightening aspect of the film. They are cute and normal, except they come off as Jesus robots. They’ve been programmed to say and do certain things, and they comply readily. It’s very frightening. The film is interesting for a number of reasons. The context has changed with the passage of a few years, and that alone is intriguing. The subject matter is very interesting. The directing and style is mostly fine, though they use multiple cameras for various scenes and it gives the impression that those scenes are almost staged. Regardless, Jesus Camp is an entertaining and enraging movie, but short enough to be bearable. It certainly does not cast a kindly light on Christian extremists, but people with rational thought ought to be able to discern its intentions. This entry was posted in 3 stars, 3.5 pirate flags, J, Movie Reviews, Pirate Flag Rating, Star Rating on March 10, 2010 by Tim Irwin.